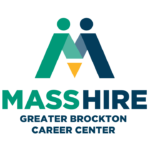 The Certified Nursing Assistant Training Program is a partnership between MassHire Greater Brockton Workforce Board, the Academy for Health Care Training and MassHire Career Center. 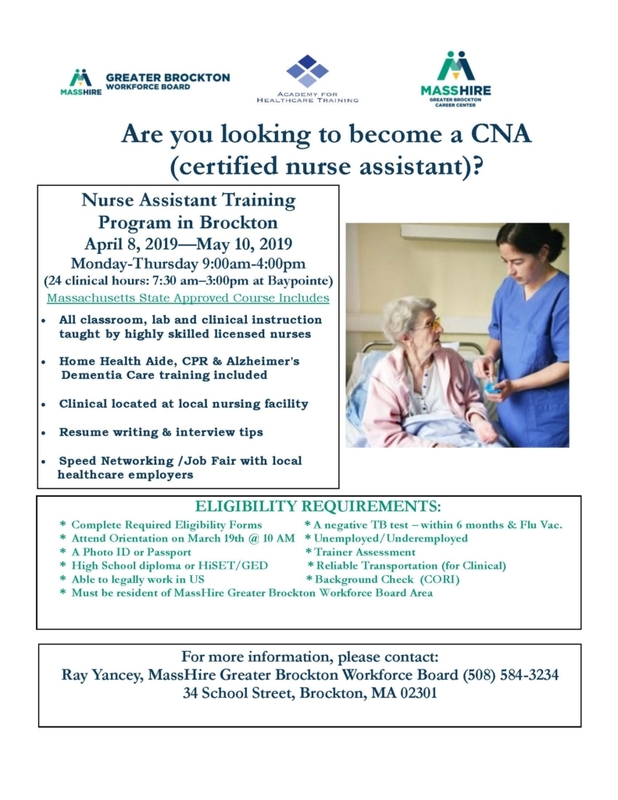 The program is offered multiple times throughout the year and includes CNA, CPR, Home Health Aid and Alzheimer’s Dementia Care certifications. The training program is designed to help meet the demand for Healthcare workers in the MassHireGBWB region. All classroom, lab and clinical instructions taught by highly skilled Licensed Nurses. Life Skills training including resume writing, interview tips & mock interview skills. Speed networking and Job fair with local employers for all graduates. 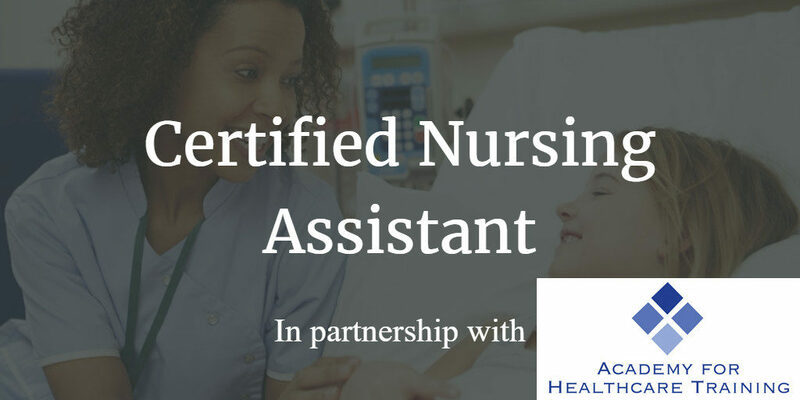 Upon successful course completion, trainees are eligible to take the Certified Nurse Assistant (CNA) State Examination.